Some people are just born to entertain. Whether it’s through music, movies, comedy, sport or even video games, some of us are just born with that innate ability to enthral the masses. Melbourne-based Mike Blackney is one of those people. Due to the sheer number of faces he’s seen and handshakes given at PAX Australia, Blackney wouldn’t recall our brief meeting at the expo back in 2017. We spoke fleetingly about his upcoming game Dead Static Drive, and it was here that it become obvious that man whose online handle is kurtruslfanclub (we’ll get to that story later) had a presence much larger than most other people in the local industry. He was articulate, witty and genuine, and Dead Static Drive, the game he was there promoting was captivating the masses. His love for games, both from a creation and player standpoint was immediately apparent. It should come as no surprise that Blackney can’t imagine a life where he isn’t involved in games as I asked him what he would be doing if not designing video games. ‘I mean, we can fantasise a world without computers and then I’d probably be lugging stagnant water from the local wetlands back to my home in the shade of an old shopping strip. But games are all I can imagine doing now’. For those of you who don’t know who Mike Blackney is, he’s the founder, director, designer, programmer and pretty much everything thing else for independent Melbourne-based studio Team Fanclub. His debut game Dead Static Drive has been in the making since approximately August of 2014. 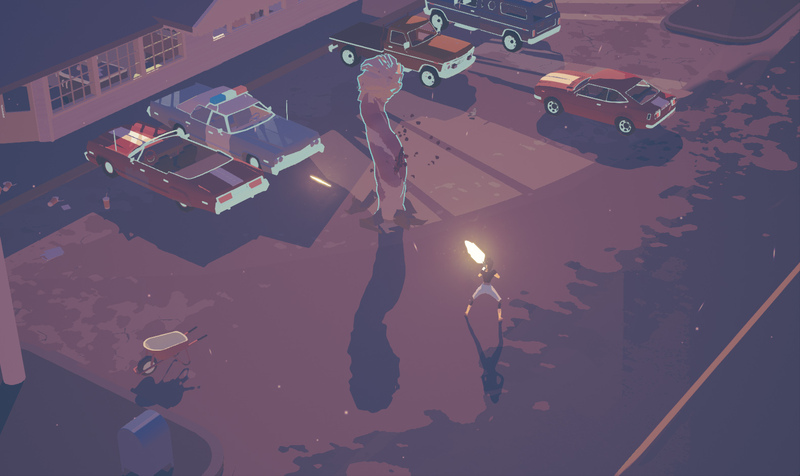 It’s a game that draws inspiration from the likes of Grand Theft Auto, Hotline Miami and author H.P. Lovecraft, blending them all seamlessly into one fascinating experience. Blackney, who was born in the Eastern Melbourne suburb of Frankston, grew up in the small Gippsland town of Sale and studied a double degree in software engineering and multimedia (with a focus on games and interactivity) at Swinburne, has been creating games since he was a kid. Although he reveals that his friends had computer access long before he did. As Blackney’s first PC was second-hand, it came preinstalled with a bunch of games, and after playing through those he had the urge to create his own games. As a result, he started playing around with two different programs: Nibbles (used to make the classic mobile game Snake) and Gorilla (which made gems like Worms). ‘I got stuck into editing those – not knowing what I was doing, but playing with disabling gravity or making explosions ludicrously big – and then grabbed a “write your own adventure games in BASIC” book from the local library and typed out the reams and reams of code from it’. One of Blackney’s most vivid early memories of video games happened on the grounds of a local military base. Blackney’s father was in the Air Force, and one weekend they attended a party at the base. Here, a young Mike Blackney (around four-years-old) would play Moon Patrol at 20c a pop in the recreation room. ‘I remember playing it, but I also remember being awful at it and constantly bugging my dad for more coins to play it’, recalls Blackney. ‘He was trying to socialise and I do remember that I was pretty rude about it. I was four, so I don’t really hang onto it, but I know that later when I was in high school I would be more than a little addicted to games, in a way that wasn’t always healthy’. 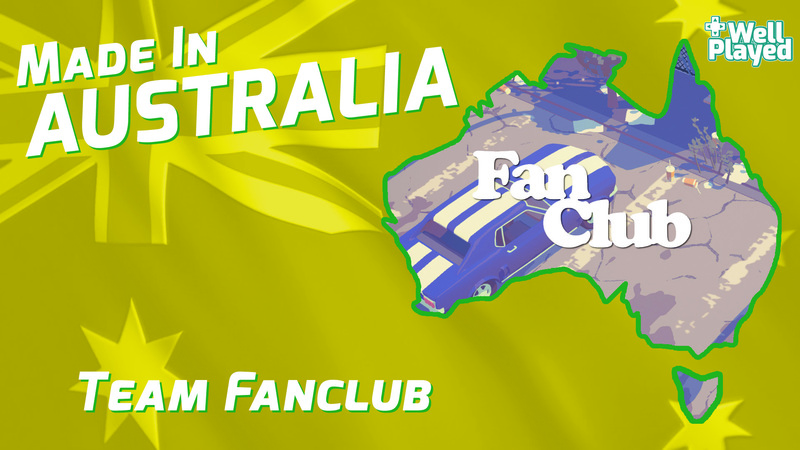 While Blackney may have always had a fascination with video games – from both a playing and creation point of view – the journey which led him to founding Team Fanclub is a bit different to most due to his somewhat eclectic pathway. 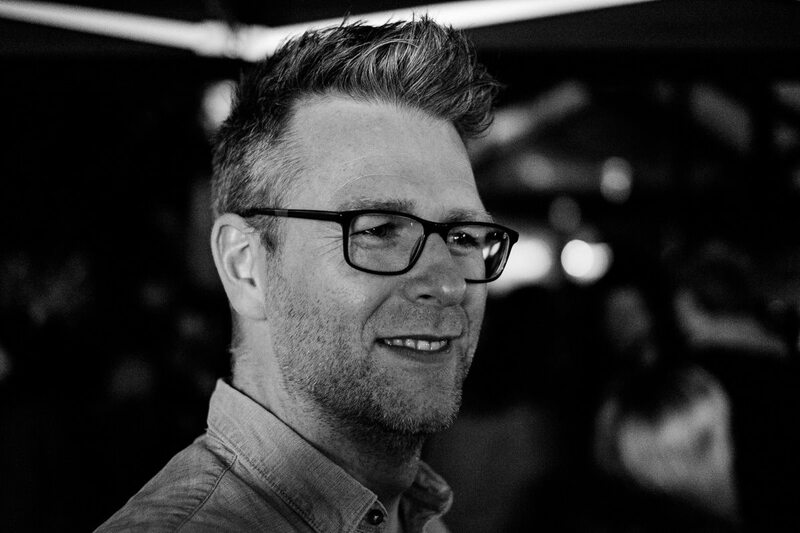 Blackney’s first ever game development job was in 2008 with IR Gurus/Transmission Games, a Melbourne-based studio that was active between 1996 and 2009. The studio, which was known for its sports games, developed an array of AFL, Cricket and Gaelic sports over the course of its existence. However, Blackney was recruited – along with a bunch of other Swinburne students who had Unreal modding experience – for a Sin City game that Transmission were working on. 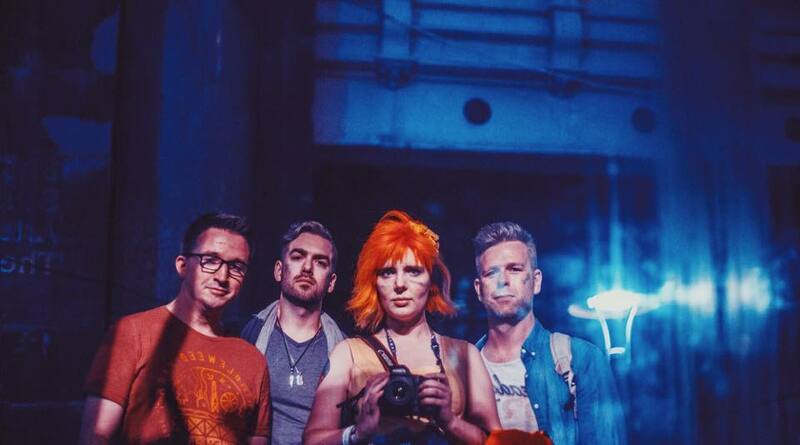 ‘The group who got hired were people I was close to and it has been such a thrill to go from being buddies to being jaded industry colleagues’, says Blackney. Tranmission’s Sin City project was marred by creative differences between the development team and the publisher Red Mile. Blackney was eventually moved to a different project, with the game officially cancelled less than six months later after Red Mile went under. 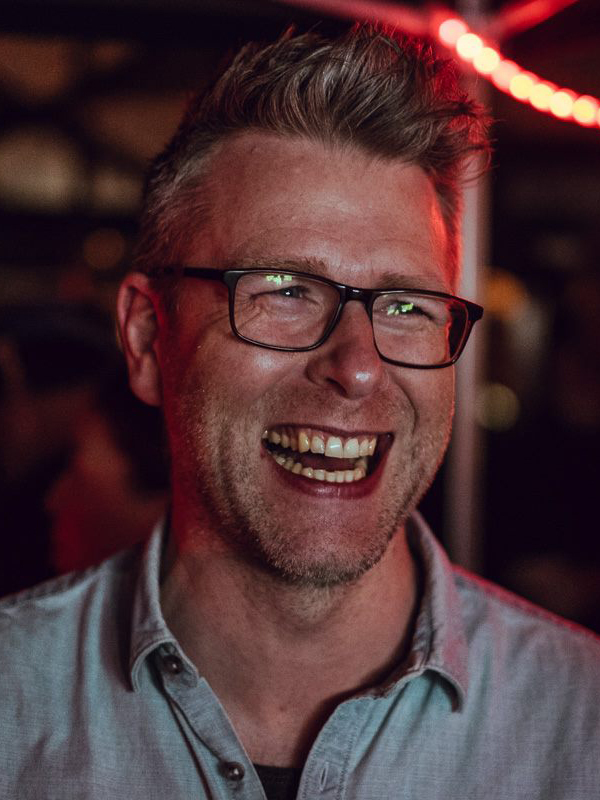 Thankfully, Blackney did get to work on a game that would see the light of the day, linking up with former university and Transmission colleague Alex Bruce who was developing Antichamber, a game that would go on to receive critical acclaim. ‘Back in university, Alex and I worked on a few projects together and I knew from the way he worked that he’d do something I was really into’, says Blackney. ‘So when he was working on Hazard (what eventually became Antichamber) and he asked if I could contribute a bit of art to the project, I was really keen to help out’. Reflecting on some of his previous jobs, Blackney reveals that his first ever job, working at the supermarket giant Safeway (now known as Woolworths), taught him a lot that would help him as a software developer. ‘Valuing doing something once – but well, communicating well, just getting in and getting dirty when time was wasting, and, most importantly: a job sitting down is worth fighting for’. Although not all of Blackney’s previous occupations have been in video game development directly, the majority of them have had something to do with the industry, such as his role as an accessory tester for Futuretronics. Blackney worked there during the PS2 and Xbox days, and the company, which was the original importer for Atari back in the 80s, was importing third-party accessories for those consoles. Blackney would test the accessories that were sourced internationally and would have to write reports on them. ‘It was super fun for three weeks’, he recalls. ‘Then I did anything I could to stop from playing games – so I made websites, wrote backend software to automate their returns systems and designed an automatic catalogue generator’. Blackney also worked as a coder for a small company that specialised in developing point of sale software for nurseries and pharmacies in the Eastern Melbourne suburb of Ringwood. While it wasn’t the most enjoyable gig, Blackney reveals that he relished the challenge of making all the code and data fit into the 48Kb of the barcode scanners’ memory. It was here where Blackney had one of his more memorable interview moments. ‘The company boss came into the interview halfway through with no shirt on and just went with it. It seemed messed-up at the time and, reflecting on it now, it’s super messed up’. 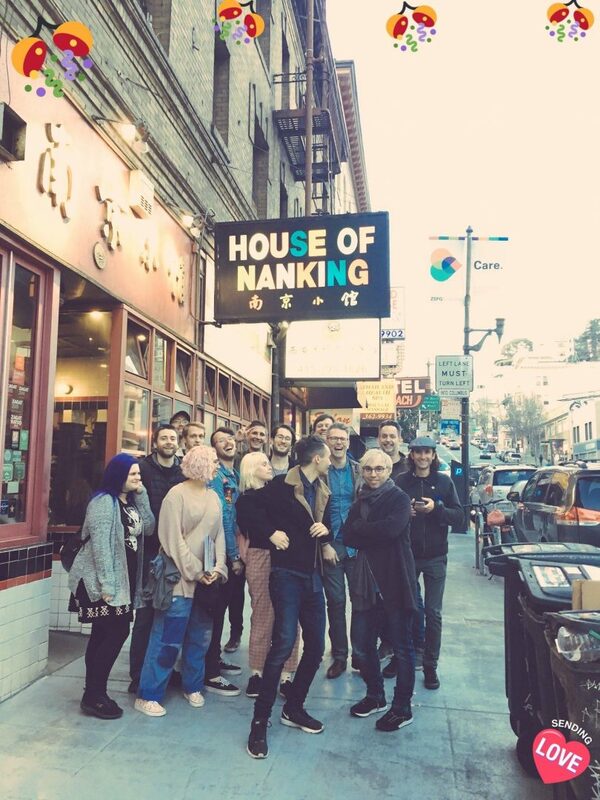 Perhaps the most interesting profession Blackney held before Dead Static Drive was teaching a games programming Bachelor’s degree at SAE. ‘I loved that job and being a teacher taught me so much and was so incredibly fulfilling socially and intellectually’, shares Blackney. ‘But it wasn’t fulfilling creatively, and after five years of teaching I just needed to scratch my creative itch again’. I ask if he misses any of his old occupations, and while he admits that maybe one day he would consider a return to teaching, he knows that being able to flex his creative muscles is where he’d rather be. ‘I’m a really nostalgic guy, but I know that I wasn’t happy at a lot of them’, he replies. ‘Teaching was rewarding in a lot of ways, and I think I had a positive impact on the lives of a lot of my students. It’s hard work, and not well paid, but it helped make me who I am now’. It’s not only Blackney’s employment history that is wide-ranging, his sources of inspiration come from a diverse mix of creative mediums. ‘I devour creative media – I play so many games (often not too deeply, so I can move on), I watch loads of films, I read a lot of books, and I try to get out and see the world’, says Blackney. ‘I love the mood and nonsense of Edward Gorey, I love the overwhelming technical prowess of Oskar Stalberg. I read a lot of Gene Wolfe, and I’m really regularly reading short horror stories – my favourite horror author is T.E.D. Klein, who’s not written enough for me’. When it comes to games, Demon Souls, Silent Hill, Resident Evil, Lost Planet 2, Dead Rising 2, Binary Domain, Catherine, Persona 4 are some of Blackney’s favourites, although he admits there are many more that are important to him. However, since developing Dead Static Drive has become a full-time gig Blackney rarely has time to complete games, revealing that if he does complete a game nowadays it’s most likely a Soulsborne game. One game he is looking forward to spending more time with is the remake of Resident Evil 2, although he admits he may have to wait until to Dead Static Drive is out to really dig in. Given Blackney’s teaching background, it comes as no surprise to hear that supporting and investing in the local industry is important to him, preferring to go local whenever opportunities arise to bring contractors on board. ‘Because I always get short term contract work, I exclusively work with remote workers. I prefer to choose people in Victoria because we’ve got a strong development base here, and I want to help support the local industry wherever I can’. Blackney admits that Victoria is leading the way, implying that other states should follow Victoria’s example of backing in their creatives, ensuring they don’t take their talents elsewhere. 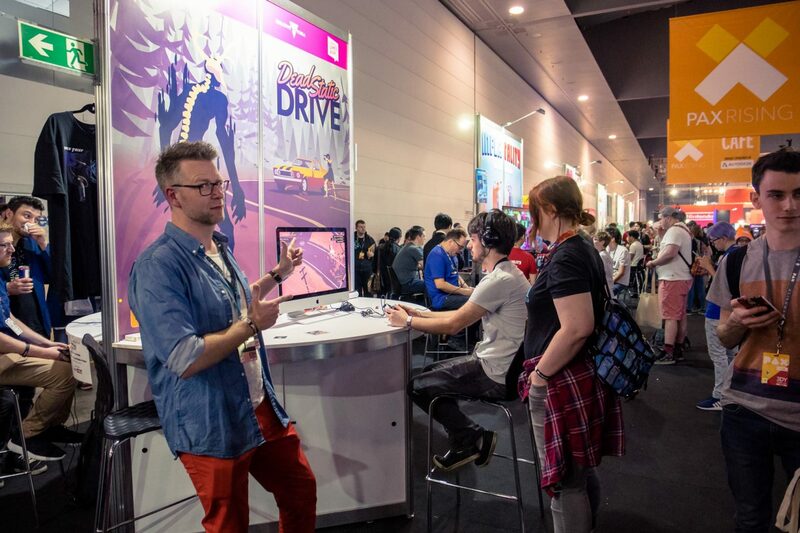 ‘Presently Melbourne is doing incredibly well because we have a lot of teams here – from indies to larger studios – who are able to make games and make rent’. ‘The way that I see it, the government support helps to stop all our top talent from leaving. If there’s no local support, those who have lost work because of a company shutdown will look for work wherever it’s at’. Studio closures and layoffs are commonplace in the video game industry, with some industry people stating that layoffs are a necessary evil due to the cyclical nature of video game development. While it is common for video games to be developed by teams made up on a contractual basis, it also highlights the volatile nature of video game development. Blackney believes that with additional government support we can mitigate the exodus of talented developers from our shores. ‘The bigger the studio that closes, the more top talent that will be swimming about in unemployment and looking for work’, says Blackney. ‘If half of them (or more) can’t find work, they might leave games or they might leave the country. When that happens, they don’t start up their own companies and that means there’s nowhere for less-experienced devs and recent graduates to find work’. ‘It’s stifling and it acts like a giant sieve that keeps out a lot of promising developers who just don’t quite have the experience to get into the industry. A little local support from the government is the accelerant that helps our small flames build into enormous ones and, in times of trouble, that stops our fires from going out’. It’s because of government support in the form of grants from Film Victoria and Creative Victoria that Blackney is able to commit to developing Dead Static Drive full-time. While these grants (as well as some savings and some sweat equity) meant that he no longer has to spend his days teaching or testing third-party accessories, they’ve also allowed Blackney to show Dead Static Drive off at PAX events as well as GDC (Game Developers Conference). However, an even bigger boost – from both a confidence and financial perspective – was the Unreal Development Grant he received near the start of Dead Static Drive’s development. ‘The Unreal Dev Grant was a massive help’, states Blackney. 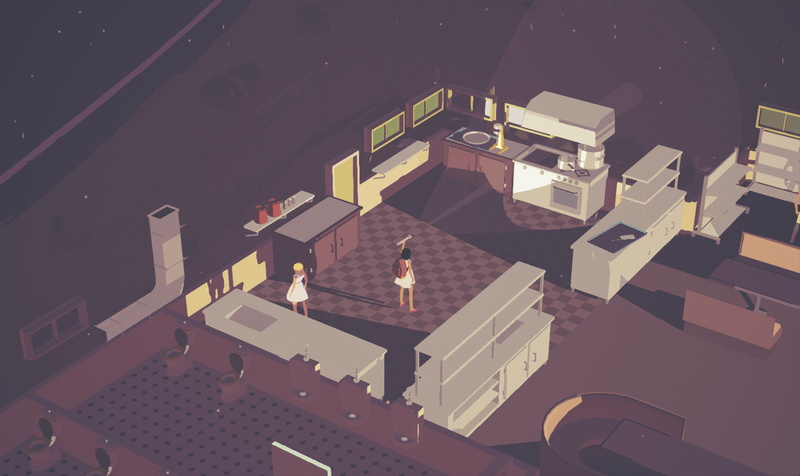 ‘It was a boost to my confidence, but also it meant that I could go to a number of conventions to show off the game and meet press and publishers without needing to invest my own money yet. Knowing that the game resonated so quickly with someone who was willing to put money down meant the world to me’. While Dead Static Drive started as a solo project, Blackney admits that having other creatives to bounce ideas off can be an invaluable boon. Although most of the time the Team Fanclub team is limited to Blackney, he’ll utilise friends and contractors when required – or when the budget permits. He’s recently brought on some additional support for the game, which will hopefully expedite the game’s release, although Blackney remains coy on the game’s release date when pressed about the matter. I ask if the game has suffered delays of any sort due to Blackney’s mostly solo effort, or if it’s a case of wanting to have the game finished before divulging release information so that he’s not forced in to delaying the game because the announced release date cannot be met. Blackney explains that it’s neither – it’s simply the fact that the game isn’t finished. ‘If I released it before I’d finished it then it’d be like watching the first forty minutes of an Avengers movie, then the next thirty minutes but without any CG effects, then the rest of the movie would just be reading the script’, says Blackney. ‘So when people say they want it to come out tomorrow, I totally understand what they mean – they want it to be “finished” tomorrow, but unfortunately it just takes time and you can’t magic it to be done’. Even with getting a taste of working at an established studio with IR Gurus/Transmission back in 2008, Blackney is loving the creative freedom that comes with being an independent developer. However, it’s not without its challenges, with Blackney revealing that prototyping can grind a game’s development to a halt. ‘One of the most difficult things has been knowing when something isn’t worth pursuing creatively’, he says. 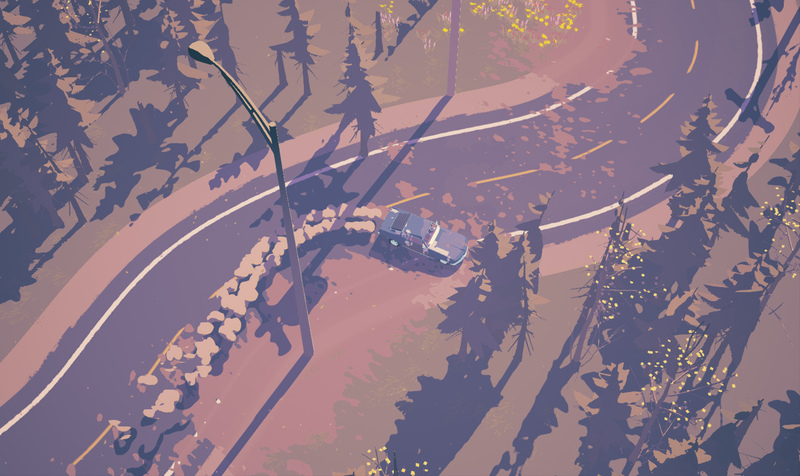 ‘The cost of spending a few weeks on a prototype of a feature is fairly huge because it means that while you’re testing an idea, nothing else on the game is moving forward’. How flash does this look? Furthermore, Blackney says that ‘there’s so much more to developing a game than improving the game’. ‘There’s PR and interviews, there’s pursuing funding and pursuing business relationships, there’s approaching platform vendors (consoles etc.) and trying to build relationships there so you can release on their systems. There’s also a lot of people coming to you and offering their services, and just replying to musicians who are keen to write music from the game takes time! It’s a problem of success, so I don’t like to complain, but it’s still something to manage’. So what is it about video games that Blackney enjoys the most? ‘As a player I’d have to say achievement and accomplishment’, he replies. ‘That sense that you have moved past something, and you can look back at where you once were and feel like you’re so far from there. When I was a kid, I really got into RPGs like Phantasy Star because of that feeling of progress. I got into Roguelikes in the late 90s and played the heck out of Angband and Nethack – not only do they give you a feeling of building strength, but you as a player increase in skill as you play and reflect on your many mistakes and deaths. Now I’m really into Souls games for the same reason’. As a developer, Blackney revels in the challenges game development throws at him. ‘I love problem solving – it’s a great motivator’, he says. Blackney admits that while being an indie dev is great, it isn’t all smooth sailing, with the biggest challenge the ability to stay on target. ‘Developing the game is hard. It takes attention and reflection and revision, and just a lot of time sitting down and adding content and refining it’. ‘Because I am an indie dev, I also want to find more funding to support myself, plan for console release, show off the game on twitter, find and manage some contractors for short bursts of work on the game, talk to press about the game, attend conventions and prepare demo builds, and a whole load of other things that I can’t think about! It’s very easy to sit down for a day’s work and spend the entire day on legitimate work and yet look at the game as having not changed at all from where it was yesterday’. Despite Blackney’s hectic schedule, he’s a strong believer in having a healthy work/life balance, meaning that crunch isn’t a development method that he practices. Even when he does work longer days than normal, Blackney admits that he’d always be paying some price. ‘Personal costs with my relationships, health costs with needing to take time off to recover, financial costs by needing to pay extra for things like food delivery that I normally would be able to take care of myself, and time costs by needing to redo work that was rushed the first time. It’s just not worth it. But also: even if crunching was worth it, I am more than my work and I want a healthy work/life balance’. After a recent trip to GDC in San Francisco, where Dead Static Drive was part of the ID@Xbox showcase, you would think Blackney would be chasing some much-needed rest. Instead, it’s business as usual – with Blackney sharing GIFS and screenshots of Dead Static Drive on social media platforms such as Twitter. Which brings us to Kurt Russell. Blackney’s Twitter handle is @kurtruslfanclub – a handle I mistakenly thought was Blackney’s original development name before founding Team Fanclub. Turns out it’s simply Blackney’s online handle for the past decade, one that was born out of love for Kurt Russell movies of yore such as The Thing, Big Trouble, Escape From New York, Stargate and even the ‘questionably-watched’ Soldier as he puts it. ‘I kind of thought of it as a private thing for ages until I was first signing up to Steam and felt like a new display name, so I chose Kurt Russell Fan Club and everyone I knew had a chuckle at it, so it stuck!’, Blackney explains. ‘What’s wonderful is that in the past decade I’ve seen Kurt’s resurgence in mainstream films, and Bone Tomahawk is one of my all-time favourite Kurt movies! So what began as a bit of an inside-chuckle (remember Kurt?) has transformed into just a C-level stan handle’. While Team Fanclub may be an up-and-coming studio on the indie scene, Blackney’s pedigree dates all the way back to the early 2000s, where he was developing roguelikes and actively contributing to rec.games.roguelike.development on usenet. ‘I don’t feel like you’re in the industry when you get your first job, I feel like you’re a game developer when you start making things – even at home’. His advice for budding developers is simple: ‘finish what you start’. For Blackney, he’s only just scratching the surface when it comes to video game creation, revealing that he has many ideas for future game development. While his goal right now is to get Dead Static Drive into players’ hands, he says that in the future he’d love to continue to lead his own game development, although he’s not averse to working in a partnership given recent experience working with others. Either way, we can’t wait to ride shotgun with Blackney on his development journey.